The way your website appears in visitors' browsers is determined by the design theme it uses. A design theme is a set of HTML, CSS, and other files which are used for creating certain visual appearance for website pages. 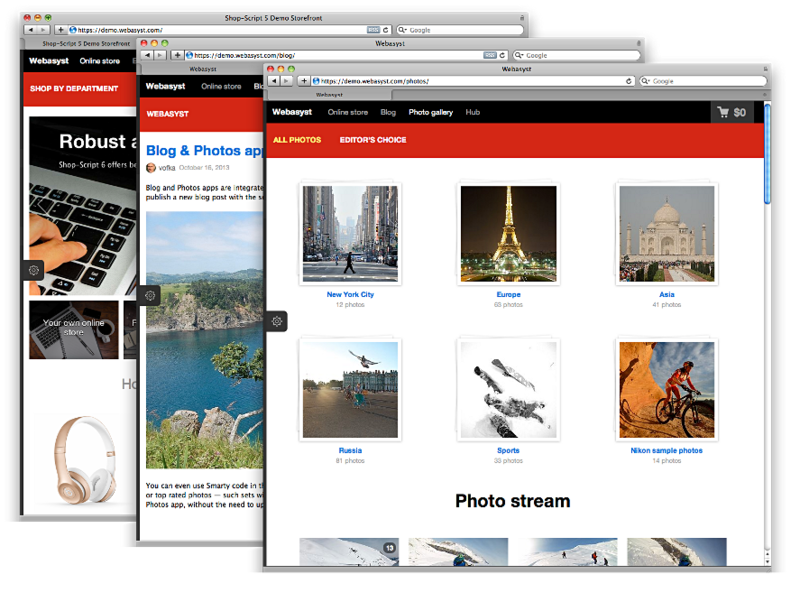 One website can use several design themes at the same time. For example, if you have info pages, news section, and a photo gallery on your website, then each of the Webasyst apps generating those pages, Site, Blog, Photos, use their own design themes. Again, each application requires its own design theme, even though you might conclude from their similar appearance that its one common design theme for all of them. Therefore, you need to edit the design of some website section, use the design editor provided by the corresponding app. To do so, open the "Design" section in that app. In Shop-Script app, you wil find the design editor in "Storefront" section. You are free to edit design themes as you like: using settings and by editing directly templates files. 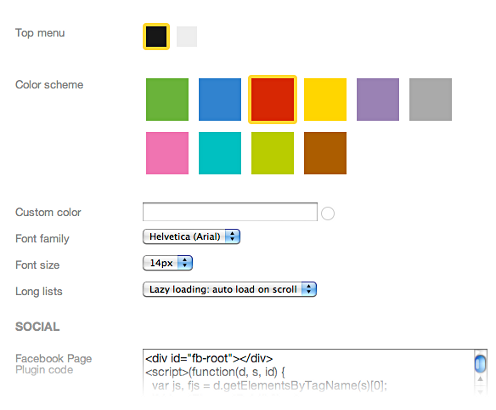 The settings options of a design theme are available in design editor's "Appearance" section. Each theme offers its own set of settings options for editing text captions on the home page, changing the color scheme, switching to a different menu type, enabling or disabling of auto-loading of long data lists, etc. If the available settings options are not enough for you to make certain changes, you may edit design theme files; e.g., HTML templates and CSS styles, in "Templates" section. Important note: Be careful when making changes to design theme files, because an error may distort your website pages or even make its important functions inoperable. We recommend you to test design theme changes on a copy of your website installed on a backup server or on your local computer.